6 July 2017 – From malnutrition to overweight; from sustainable sourcing to consumer trust, the food industry is facing some of the most difficult issues of our time. TiFN has translated them into three research themes and eight innovation challenges. 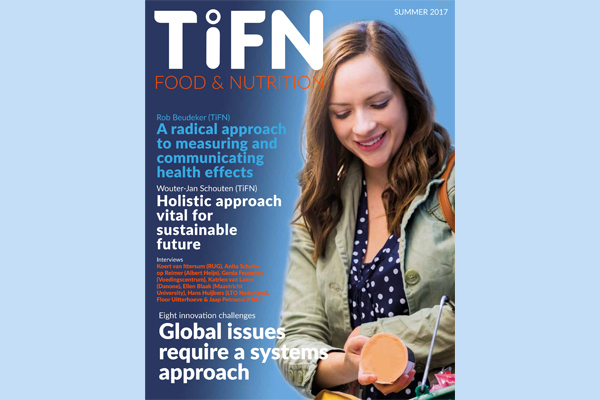 At TiFN we believe only a holistic, systems approach can truly tackle the issues challenging our largest system, our planet. Such an approach would focus on providing healthy nutrition tailored to peoples’ individual needs, based on ‘smart’ food production, within the boundaries of our one planet, yet producing sufficient nutrition to to feed the global population. And, crucially, it would restore consumer engagement and trust: as a food manufacturer you can develop any product or technology you wish but, in the end, it is the consumer who decides to buy it or not. The description of our three research themes and eight innovation challenges is reflected in our new magazine. You can download it here.